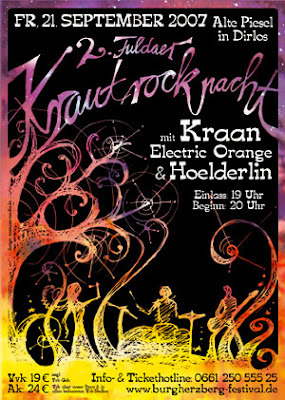 ELECTRIC ORANGE begun as the personal vehicle of multi-instrumentalist Dirk Jan Müller in July 1992. 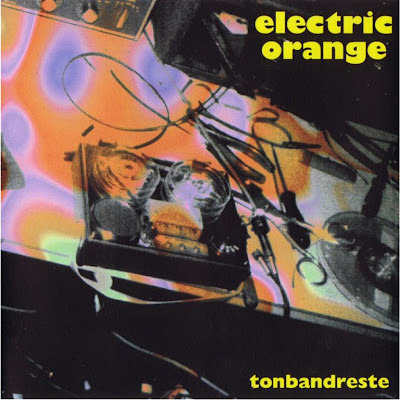 On their early stage ELECTRIC ORANGE created music for aural adventurers, heavy krautrock influenced, bearing distinct semblance to early ASH RA TEMPEL. Their official releases on Delerium had a more modern feel due to the contemporary dance electronic beats and some strong bass grooves (maybe an influence of the label aiming at the rave market). However, their privately released CDRs had a rather improvised feel to their out-there spacey excursions. "Tonbandreste" is such an example. It containes audio experiments of their early days. The music is fairly atmospheric with some lovely thick organ sounds. 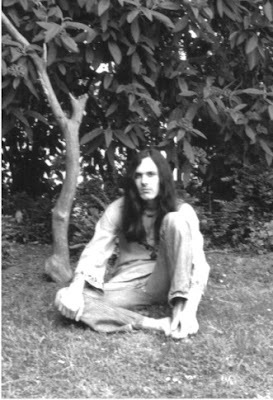 Slow rhythms give some structure to the improvisations and it is the organ which displays the strong krautrock influence. Not only the magic of the moment works to the spaced-out feel but also the hidden sounds, feelings and moods in the music are there to carry the listener to celestial places. Eerie, tense and ultimately trippy with that distinctive 70ies german acid experimentation that gives it the edge. A hypnotic journey into deep space. Very limited to just 56 copies. Get part 1 & part 2. I think, track 3, part 2 has a problem. i love electric orange! thanks for posting these rare one!!! any other rare cd-r you have by them?